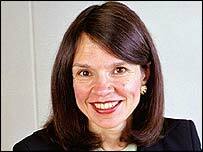 Shell's chief financial officer Judy Boynton has resigned, becoming the third casualty of its reserves crisis. While she is not accused of wrongdoing, her position became untenable following fierce investor criticism over mistakes made in the booking of oil reserves. The news emerged in a report on an internal probe into why the Anglo-Dutch group had inflated its reserves. It also revealed Shell had known about the problem since 2001, and would be downgrading its reserves once again. The downgrade - the third in as many months - means its oil and gas reserves for 2002 will be a combined 4.35 billion barrels lower than previously thought. It also cut its reserves for last year by 500 million barrels. The overall impact of the moves would be just over $100m per annum (£55.4m), it said. The independent review placed the blame for the debacle firmly on the shoulders of former chairman Sir Philip Watts and oil and gas chief Walter van de Vijver. At the same time it cleared current members of its committee of managing directors of "material responsibility". It said that although many executives had been aware of the problem, Sir Philip and Mr van de Vijver were "the most powerful forces in management" and the issue was "particularly within their expertise and experience". Last week, Mr van de Vijver issued a statement saying he had alerted the company to the reserve problem back in 2001. However, the report said that he had pushed it as a "serious and immediate business problem" rather than "a regulatory and disclosure failing". Chairman Jeroen van der Veer said: "The (report and review) draws a line under the uncertainties that have surrounded the status of our reserves. "Despite the difficulties of recent months, Shell is a sound and profitable business." He added that new controls had been put in place that would be "rigorously enforced" and "subject to greater scrutiny" internally. The company's shares dropped 5.25 pence in London to 387.50p, reversing earlier trading gains. The crisis began in January when the group admitted it had inflated reserves by almost four billion barrels. The market was shocked and angered and the share price took a pummelling. Shell has since said it plans to overhaul its reserves practices. Last month, Sir Philip and Mr van de Vijver were ousted over the booking mistakes, and Ms Boynton has now followed. She will, however, remain at the company until June. But the saga is still not at an end. The group is under investigation in the US by both the Securities & Exchange Commission and the Justice Department. The UK's Financial Services Authority and the Netherlands' market regulator AFM have also launched inquiries into the scandal. Shareholders, meanwhile, have brought a number of class action lawsuits in the US. 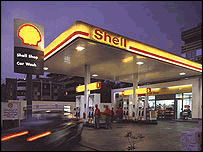 Jeremy Cresswell, editor of Energy Monthly, said it could take ten years for Shell to restore its reputation. "These problems are probably going to haunt the company not just for the next two or three years, but perhaps for a decade or more to come," he told the BBC's World Business Report. "Shell says no more heads will roll"
Can we still be sure of Shell? Windfall tax on Shell's profits?